BTOB's Yook Sung-jae has shared his playful photo. Recently, Yook Sung-jae posted the photo of himself holding a pair of sneakers on his Instagram. 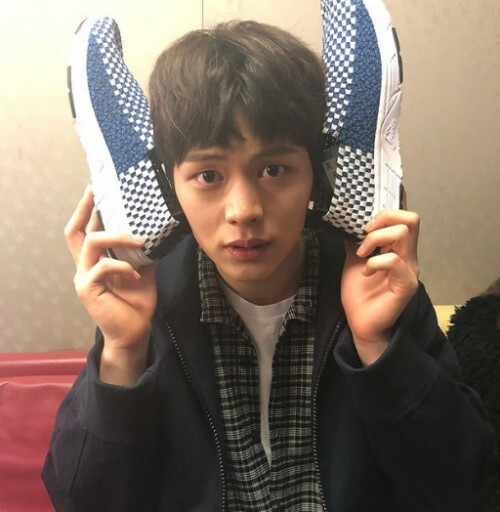 In the picture, Yook Sung-jae is holding a pair of sneakers up to his ears, showing his playful charms. He is also flaunting his handsome features. Meanwhile, Yook Sung-jae appeared on the April 15th episode of "Sugar Man 2".